ADAORAH ODUAH ESQ is our Director of Content Strategy and head of our Alumni marketing unit. 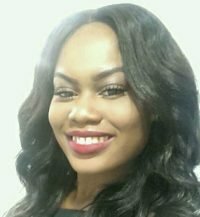 With a Global Media and Communication Graduate degree from London School of Economics UK and University of Southern California in view, LLB University of Kent UK, Solicitor & Advocate of the Supreme Court of Nigeria, Ada brings in a wealth of experience and expertise to our team. Train our students on writing good College application essays and organizes the units Thematic Connectors Forum and Exhibitions. She is well experienced in test preparations for the IELTS and TOEFL English Tests. She achieved enviable high scores in these tests and thus takes pleasure in imparting her success to our prospective learners.